All tournament games will be played in accordance with the laws of the game unless modified herein. A certified US Club or USYSA roster shall be submitted to tournament officials prior to first game and may be checked by field marshals or referees prior to each game. 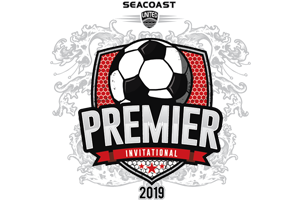 Each team may be composed of a maximum of 20 players (11v11),16 players (9v9) and 12 players (7v7) for this event and rosters are limited to four guest players. Any team travelling to the SUSC event with more than one team may choose to move a player up for any game throughout the event. However, no player is allowed to play in more than four games at the event. The player and coach must have permission from their club director and subsequently from the tournament director before writing the player onto the game roster and presenting his or her player pass of the same club during pre-game check-in. F. A player recieving a caution (yellow card) MAY be substituted for at that time. All 7v7 games will be played on a 50 yd x 30 yd field. The penalty area will be marked by a blue arc. 9v9 games will be played on a 70 yd x 50 yd field. The penalty area will be marked by a blue rectangle. 11v11 games will be played on a 120 yd x 70 yd field with regular field markings. In all 7v7 games, the defending team must retreat back to midfield on all goal kicks. Once the ball is played in and is touched by a player on the attacking team, the defending team may cross midfield and resume play. SUSC wishes to create an environment that prioritizes sportsmanship and fair play throughout the weekend. All teams are guaranteed three games. After the three preliminary games take place on Saturday/Sunday, playoff seedings will be determined for playoff games on Sunday morning/afternoon. - One (1) point for each goal scored (max of 3 per game). Losing team receives points also. - One (1) point for each shutout. A 0-0 tie will be scored as 4 points for each team (3 points for the tie, 1 point for the shutout); a 4-2 game will be scored as 9 points for the winning team (6 points for the win, 3 points for goals) and 2 points to the losing team (2 for the goals scored). Click here to view Seacoast United's refund policy. Playoff seedings will be determined differently in each bracket depending on number of teams entered. Playoff rounds will take place on Sunday morning/afternoon (depending on schedules). Divisions of 8 (two brackets of 4): Each team receives 3 round robin/group play games. Top team from each bracket will meet in the final. Divisions of 6 teams (two brackets of 3): Each team receives 2 round robin/group play games. Top two teams from each bracket play cross-bracket semifinals (A1vB2 and B1vA2) while the 3rd seeded teams will meet in a consolation match. Winners of the semifinals meet in the final. Divisions of 5 teams (one bracket of 5): Teams will each receive 2 games. 3rd game for each team is determined by seeding based on the results of the 2 preliminary games. #4 seed plays #5 seed in the consolation match. The #1 overall seed will advance directly to the final. #2 v #3 seeds meet in the semifinal with the winner facing the #1 seed in the final match. Divisions of 4 teams (1 bracket of 4): Teams receive 3 round robin/group play games. Top two seeds will play each other in the final. If the score is tied at the end of regulation, teams will proceed straight to penalty kicks to determine the winner. Teams will go 5 rounds, and if tied after 5 rounds, they will progress through single rounds until a winner is determined. Players taking the penalty kicks must be chosen from the 7 players (U9 & U10), 9 players (U11 & U12) or 11 players (U13 & U14) that are on the field at the end of the overtime period.